Did you know that Theodore Roosevelt advocated (along with Noah Webster) a new American English language, that endorsed the elimination of extraneous vowels? That’s how colour became color. FYI. 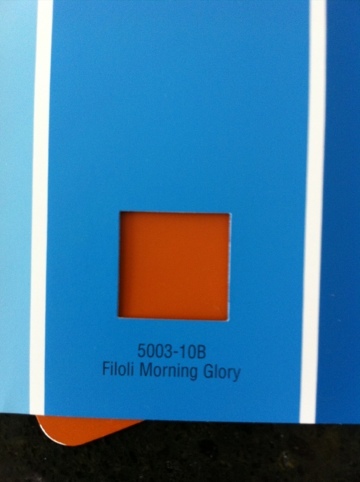 That said, here are the colors I will be using to paint my upstairs hall, office and loft. 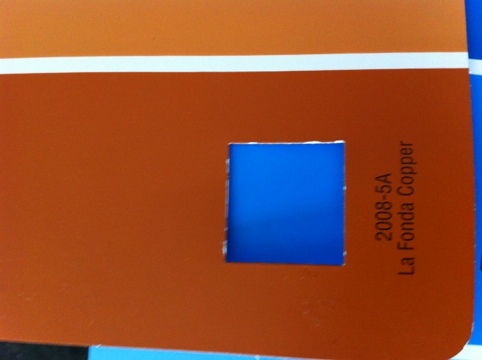 The copper is for the walls and the blue is for behind the shelves in the loft office, and maybe the upstairs guest bathroom. Don’t you love that combination?